Just about any coach appreciates the service of a star player, one who can strike fear in the opponent and take over a game at any given moment. It’s something that can be a huge asset in winning basketball games, especially against a conference rival. 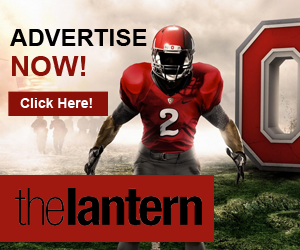 However, as the Ohio State men’s basketball team proved Tuesday night at the Schottenstein Center against Michigan, the one-man wrecking machine is not the only means to that end. Despite its leading scorers only putting up 13 points, OSU (17-10, 9-5) used double-digit scoring performances from five players to take care of Michigan (19-8, 9-5) 76-66 in the Big Ten matchup. 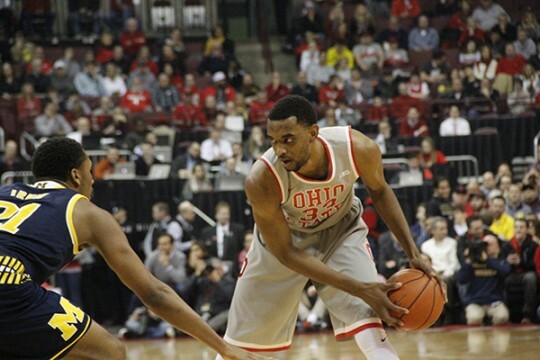 Junior forward Marc Loving had a double-double with 13 points and 10 rebounds while sophomore forward Jae’Sean Tate added 13 points of his own, as OSU shot 54 percent to Michigan’s 39 to grab just its second win this season against a team ranked in the top 50 of the RPI. 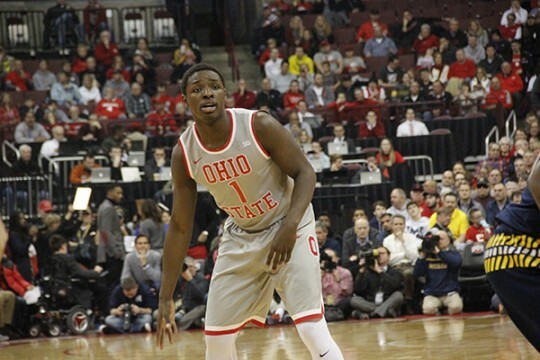 In the first 12 minutes of the game, seven different OSU players scored, with only freshman point guard A.J. Harris and redshirt sophomore shooting guard Kam Williams connecting more than once. While the team knew it would need someone to pick up more of the scoring load at some point, it could not argue with the results, as it took a 21-16 lead into the under-eight-minute timeout. 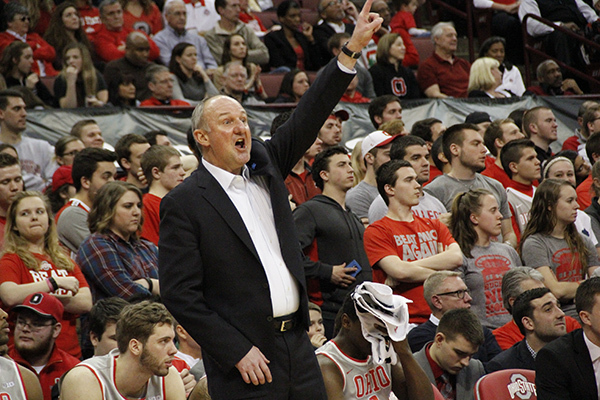 The miniature takeover finally arrived for the Buckeyes in the waning minutes of the first half, in the form of Tate. The sophomore scored three inside shots in the final two minutes of the half, including an and-1 bucket with 14 seconds left to help OSU grab a 36-28 lead at the half. 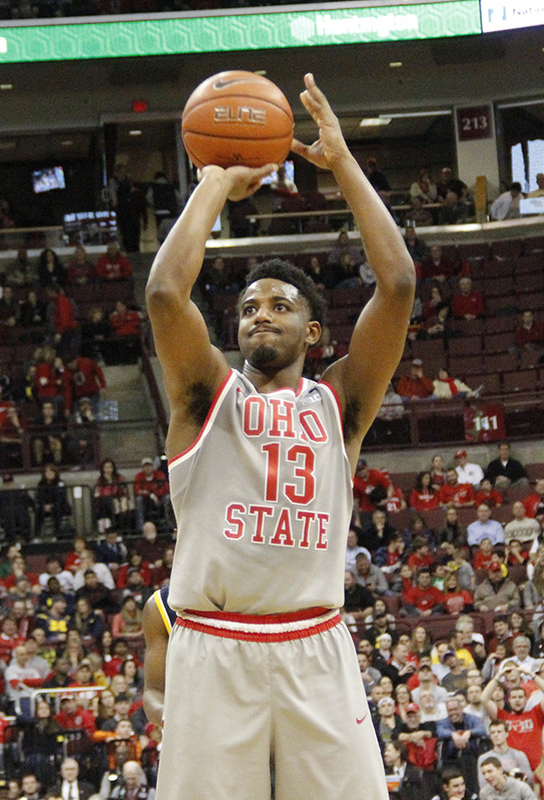 In addition to Tate’s nine points, OSU received a significant contribution from its bench, where it led Michigan in points 14-5 in the first half. That was led by Harris’ and Williams’ six points each. OSU shot 50 percent in the opening 20 minutes, including buckets from eight of the 10 players to see the court, while Michigan was held to 33 percent. The Wolverines were led by junior guard Zak Irvin’s six points and four rebounds. He shot just 1-of-6 in the opening 20 minutes, though. Sometimes when one team shoots very hot in one half and the other can’t buy a bucket, the extended rest from halftime and the change in hoops to defend, turns that trend around completely. That was not the case as the teams geared up for the second half on Tuesday. The first-half percentages held the same in the early minutes, with OSU making three of its first six shots and Michigan making two of six. 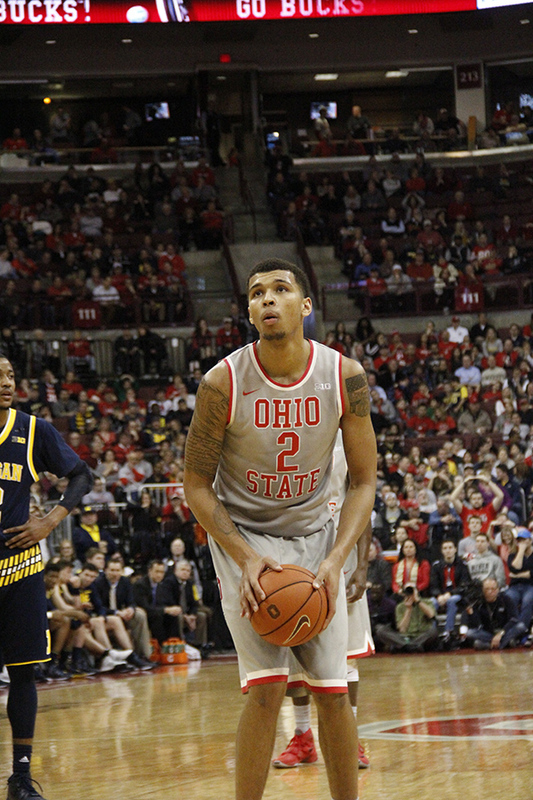 That enabled the Buckeyes to take a 10-point lead and forced the Wolverines into a quick timeout. A 7-0 run by the Wolverines to cut OSU’s lead to seven points briefly quieted the Schottenstein Center crowd of 17,088, but a 3-pointer on the other end by Loving followed by a Michigan travel quickly reset the tone of the game in the home team’s favor. And that is how the second half continued to go, with Michigan simply unable to sustain the offense needed to stick around, while OSU received solid contributions across the board. 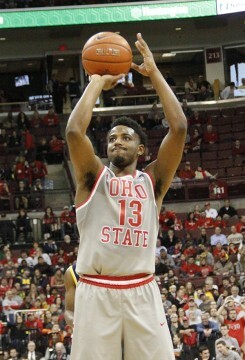 Redshirt sophomore center Trevor Thompson was the star of the second half for the Buckeyes, scoring 10 second-half points, including a pair of alley-oop finishes. Much like the first half, he was one of seven Buckeyes to score. Junior forward Mark Donnal ended up being Michigan’s top scorer, finishing with 17 points on 6-of-10 shooting. 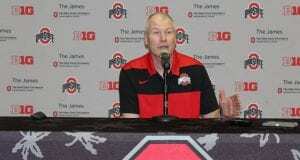 A major deficiency that the Scarlet and Gray cleaned up on Tuesday was free-throw shooting. 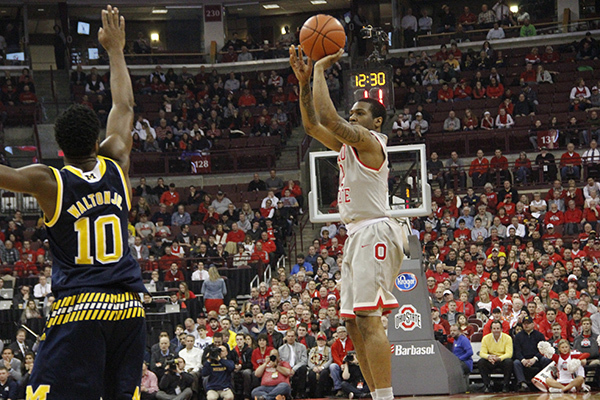 Coming into the game shooting just 65.7 percent from the line as a team, OSU was 16-of-23 (73.9 percent) against the Wolverines. Senior guard Caris LeVert, one of the top players for the Wolverines, was unable to play on Tuesday with a leg injury. 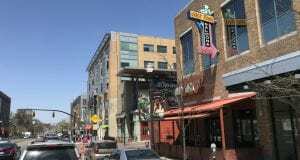 He indicated he would be good to go the day before the game after returning from the injury in the game prior, but the game-time decision by Michigan coach John Beilein was to hold him out. 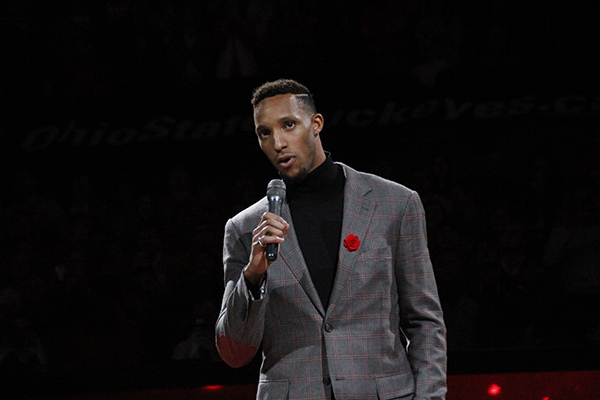 At halftime, former OSU guard Evan Turner had a video package played on the jumbotron before his No. 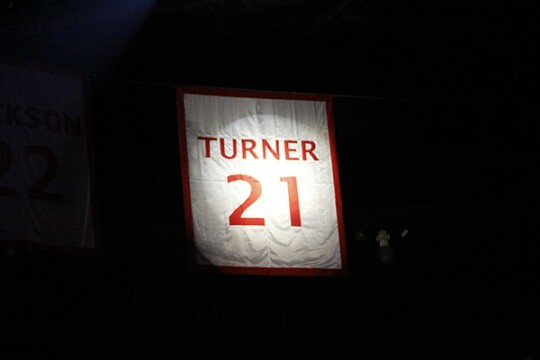 21 was unveiled in the Schottenstein Center rafters. Turner, with tears gathering in his eyes, addressed the crowd with a speech. 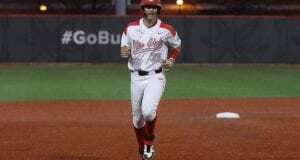 He gave credit to several of his OSU teammates and coaches, as well as his family, for getting him where he did. 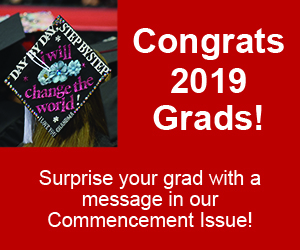 “I really do appreciate every nice thing my teammates did for me and the Ohio State University did for me, it really doesn’t go unnoticed,” Turner said. The 2009-10 national player of the year sat courtside with current Boston Celtics teammate and fellow OSU alumnus Jared Sullinger. Other players who played with Turner at OSU, including Greg Oden, Dallas Lauderdale and Mark Titus attended the game, while William Buford, Jon Diebler and Matta prepared video statements. 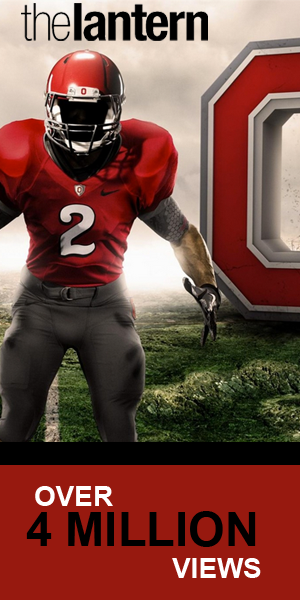 The Buckeyes’ next contest is set to come on the road in Lincoln, Nebraska, on Saturday to duel with the Cornhuskers. Tipoff against Nebraska is scheduled for 7 p.m.